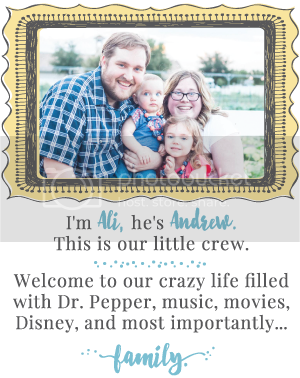 Our Happily Ever After: Life with 2! She is known as: Squish, Squishyface, Jadey, Jadey Loo Roo Hoo, Baby Sister, BABY JADE (that one is usually yelled in excitement). I mean look at that squishy face!! You can see it right? Yeah, she's cute! He's always gonna be the fun one I have a feeling hahaha And he loves it. He's wrapped around these little girls' fingers. Friday we had Jade's newborn dr appt and I had to take both girls by myself to it. (Andrew had to go sign severance papers - more on that in a second) First off, I didn't think 2 kids would be that hard..... but I was also 3 days post partum so my muscles are still like jelly. Carrying an infant carseat plus trying to keep track of big sister in a parking lot was definitely an interesting experience. And when Jade started crying, Rory started crying out of sympathy and terror that SHE would have to get seen by the doctor too..... Oi! But once Rory calmed down it was all good. Jade wasn't convinced that it was ok though and continued to cry/scream. Rory at one point looked under the cover and said "Baby Jade, you need to calm down. It's ok. No more cry." Hahahaha I died! She's always saying things like that, which proves that she DOES hear what we say even if she ignores it hahaha I mean, that's good right?? You might have already said this somewhere, but how far apart are they? She is sooooo cute!!! Congratulations! Awwee, that is cute. I can't wait to experience these joys. How adorable.